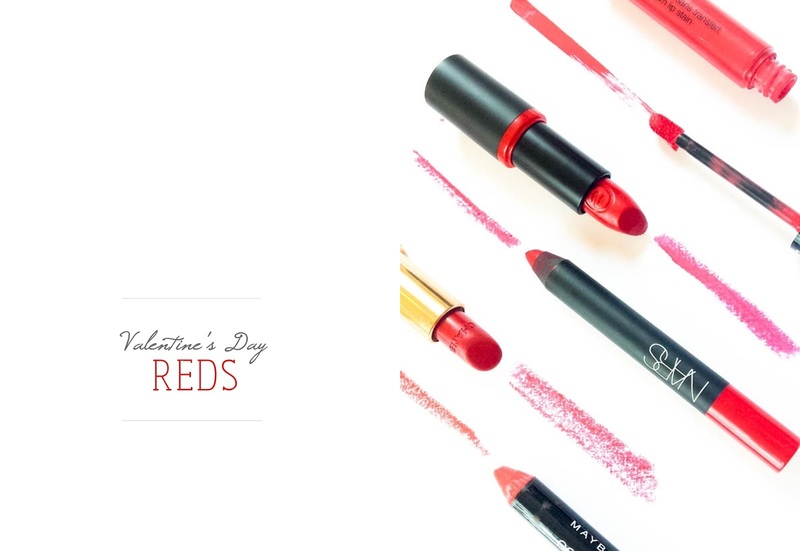 Red lipstick is a staple to every girl's make-up bag and with Valentine's Day approaching I thought I would show you some of my favourites red lipsticks. Sephora Cream Lip Stain in 03 Stawberry Kissed. 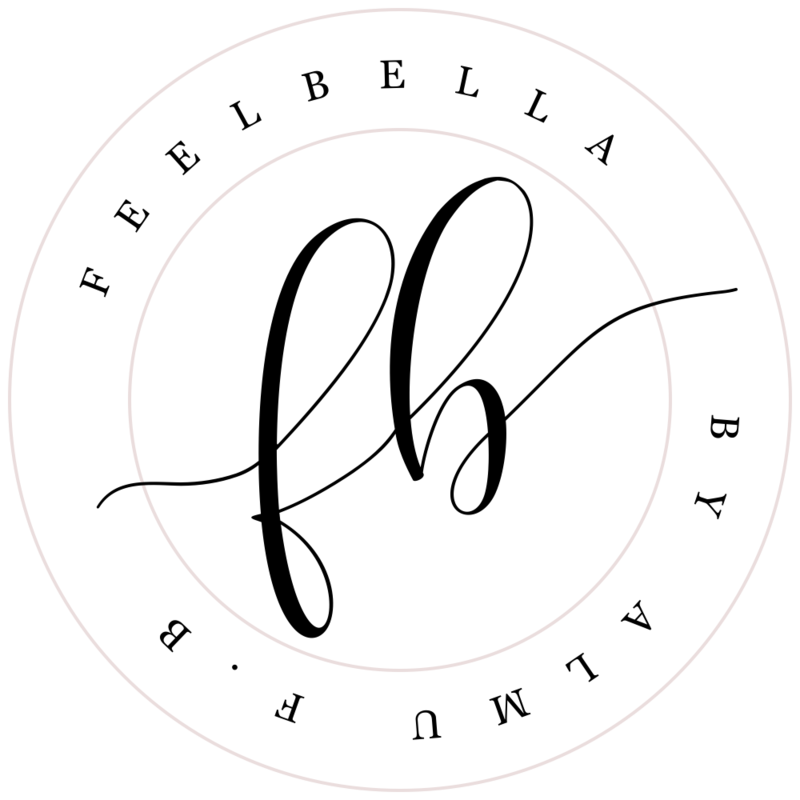 This is a matte bright pinky red, highly pigmented and long lasting. It feels so nice on the lips and it's very comfortable to wear. Nars Velvet Matte Lip Pencil in Dragon Girl, a gorgeous and matte deep pinky-red lipstick that it's so easy to apply and last for hours on. I just wish this was a twist-up pencil! Essence Long Lasting Lipstick in Dare to wear. This is blue-toned berry red lipstick. It's quite similar to Nars Dragon Girl. 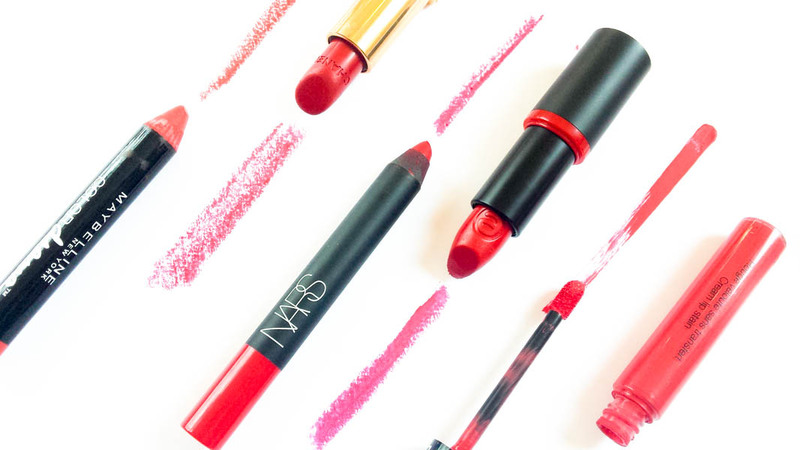 The colour is pretty much the same, the only difference is that the Nars lip pencil has a matte finish while the Essence has a more creamy finish. But this Essence lipstick could be a good dupe for Dragon Girl. Chanel Rouge Allure in Pirate. It's a vibrant red with blue undertones with a satin finish. It really is an elegant and glamorous red. 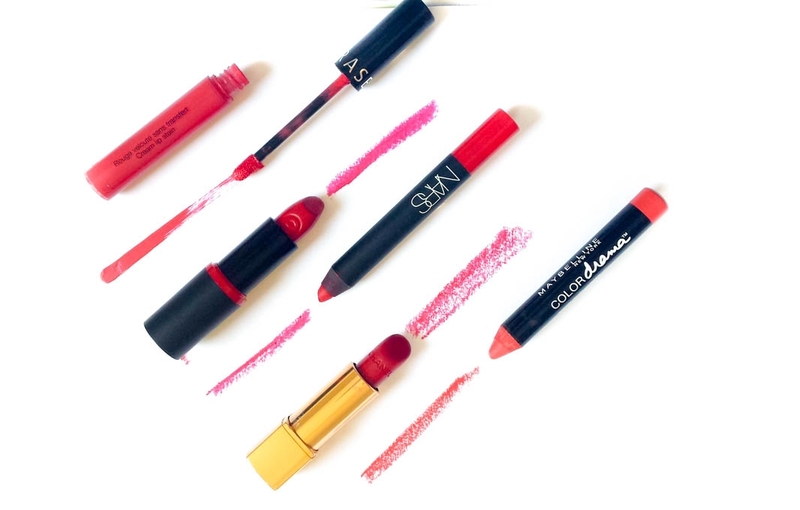 Maybelline Color Drama Velvet Lip Pencil in Fab Orange is the orange-red lipstick of the bunch. It has a semi matte finish to it. It's not drying on the lips which makes it so comfy to wear it.